In truth, in literature, in science and in art, there are, and can be, few, if any, things, which in an abstract sense, are strictly new and original throughout. Every book in literature, science and art, borrows, and must necessarily borrow, and use much which was well known and used before. No man creates a new language for himself, at least if he be a wise man, in writing a book. He contents himself with the use of language already known and used and understood by others. No man writes exclusively from his own thoughts, unaided and uninstructed by the thoughts of others. The thoughts of every man are, more or less, a combination of what other men have thought and expressed, although they may be modified, exalted, or improved by his own genius or reflection. When I bent over her I could see that she was still asleep. Her lips were parted, and she was breathing, not softly as usual with her, but in long, heavy gasps, as though striving to get her lungs full at every breath. As I came close, she put up her hand in her sleep and pulled the collar of her nightdress close around her, as though she felt the cold. I flung the warm shawl over her, and drew the edges tight around her neck, for I dreaded lest she should get some deadly chill from the night air, unclad as she was. I feared to wake her all at once, so, in order to have my hands free to help her, I fastened the shawl at her throat with a big safety pin. But I must have been clumsy in my anxiety and pinched or pricked her with it, for by-and-by, when her breathing became quieter, she put her hand to her throat again and moaned. When I had her carefully wrapped up I put my shoes on her feet, and then began very gently to wake her. At first she did not respond, but gradually she became more and more uneasy in her sleep, moaning and sighing occasionally. At last, as time was passing fast, and for many other reasons, I wished to get her home at once. I shook her forcibly, till finally she opened her eyes and awoke. She did not seem surprised to see me, as, of course, she did not realize all at once where she was. Lucy always wakes prettily, and even at such a time, when her body must have been chilled with cold, and her mind somewhat appalled at waking unclad in a churchyard at night, she did not lose her grace. She trembled a little, and clung to me. When I told her to come at once with me home, she rose without a word, with the obedience of a child. As we passed along, the gravel hurt my feet, and Lucy noticed me wince. She stopped and wanted to insist upon my taking my shoes, but I would not. 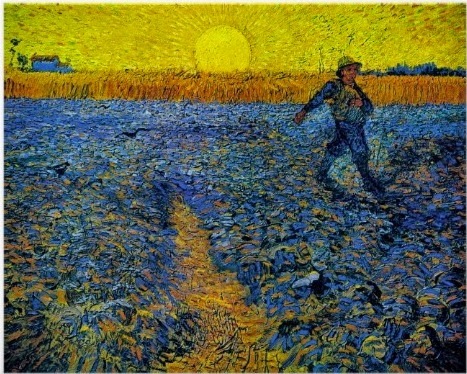 However, when we got to the pathway outside the churchyard, where there was a puddle of water, remaining from the storm, I daubed my feet with mud, using each foot in turn on the other, so that as we went home, no one, in case we should meet any one, should notice my bare feet. Fortune favored us, and we got home without meeting a soul. 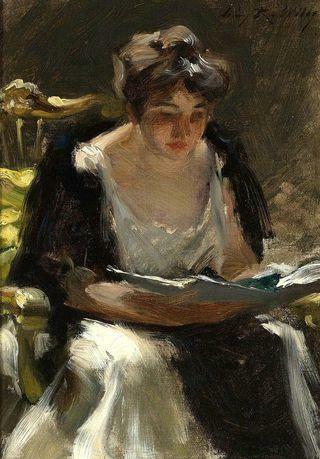 Editor's Note: Jeanne Hébuterne was a French artist. 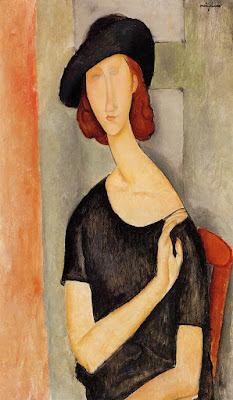 She was the frequent subject and common-law wife of Amedeo Modigliani. — Very few letters were written in those hard times that were not touching. In this one little was said of the hardships endured . . .
. . . a reminder that hard days need not be wasted.